Is your business in compliance with state and federal regulations, including OSHA, HIPAA and DOT? 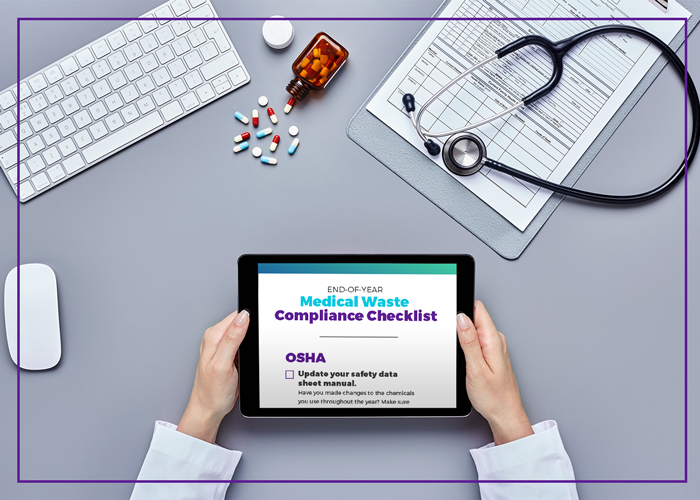 As an organization that deals with medical waste disposal, you know there are OSHA, HIPAA and DOT rules that must be followed. And the end of the year inevitably brings questions about medical waste compliance. Is all the necessary training complete? Are you forgetting anything? Taking the right steps now not only helps ensure the health and safety of your employees, but it also helps you avoid the potential fines of non-compliance. So before you turn that last page on your calendar, check this list twice. OSHA bloodborne pathogens training is required every year. Are your employees current? Our online course makes it easy to stay compliant. Are You Protected from HIPAA Threats? Save Money on Waste Removal Services Today!